PrestaShop is free software you can use to create your own online eCommerce website. It’s easy to customize using one of the themes in this collection which will allow you to change colors with the Live configurator and add your own graphics and logo. If you are looking for the best responsive prestashop themes then below we have listed 9+ Best PrestaShop Themes. Ladies and gentlemen, you see everything with your own eyes. 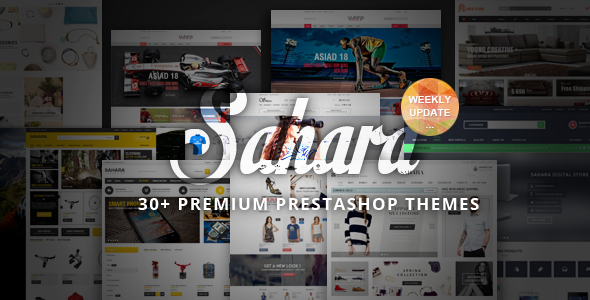 Sahara is the Best Responsive PrestaShop Theme with a clean, creative & powerful framework. Sahara is a modern responsive Prestashop theme which is suitable for any e-commerce sites about fashion stores, sports stores, food stores, digital stores, beauty Stores, jewelry shop and so on. Sahara is fully functioned and provides an unlimited style variation. The highlight in homepage is a slideshow which allows both images and content, presents most amazing items and its brief introductions, and impresses visitors with visual effect. Megamenu Customer, categories block, layered navigation block help customers go shopping quickly and conveniently. 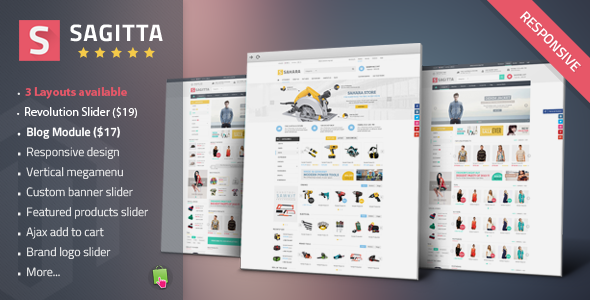 Sagitta – Mega Store Ultimate Prestashop Theme is for selling high fashion such as clothing, shoes, bags, fashion for men, women, accessories and so on. The static blocks are designed fancy, completely unique style and impressive. Sagitta template integrated many strong features that will help you to enhance website performance such as new products slider, top seller products , category tabs slider, category tabs show products of categories in each tab, specials products shows discount products, pos logo shows brand logos in slider, layered navigation block, products category with slider show products in the same category. Megamenu Customer helps show many static blocks with images, brand logos, categories, links to best-selling products page, new products page. 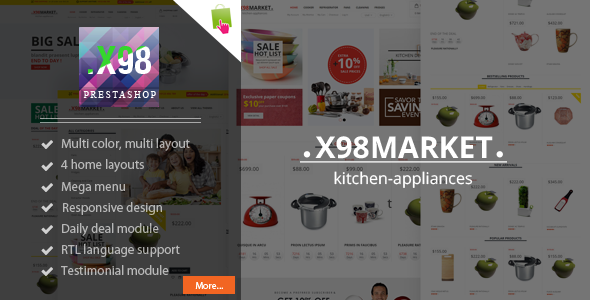 X98 is a Best Kitchenware PrestaShop Theme specially designed for home appliances, kitchen appliances stores. It comes with features a clean CSS that allow easily advanced customization. This PrestaShop theme is simple and clear. Mega menu and vertical mega menu are nice and convenient. 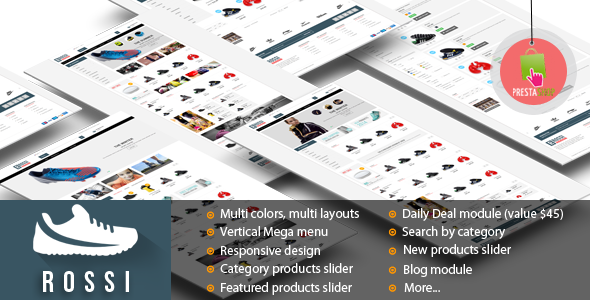 Vertical mega menu placed on top and on the left sidebar, where buyers can easily find necessary categories and products. The slideshow is below Mega menu with smooth effects, may be full-width or boxed in each layout. Category Tabs showed products of each category are advertised in the slider. New products, top-sellers are displayed beautifully in the slider. Testimonials module helps customers and you interact with each other more easily and friendly. 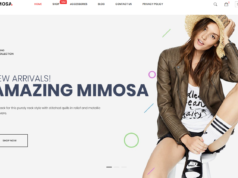 InStyle is a Best Dress Store PrestaShop Theme which makes your site perfectly ready for customers to shop anytime, and from any device they want. Secondly, there is no more blank, boring background. 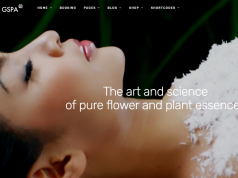 With InStyle, your site’s background can be interesting with image and style. If you want to make it more stylish, Theme Editor feature will be helpful. 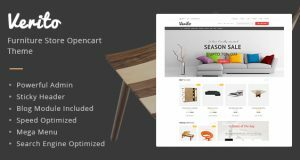 Optima is a multipurpose Prestashop theme which has 8 templates : digital, furniture, fashion, kids, tools template. These templates are designed colorfully . They are combined very harmoniously. Optima theme is simple web design and include amazing, mega menu with nice images, homepage slideshow, social networking icons, static blocks with beautiful images, css3 and bootstrap 3 technology. 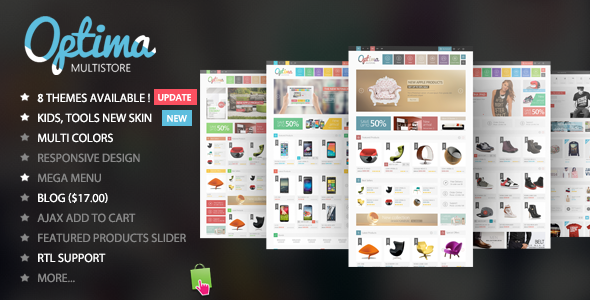 Megamenu customer is designed with vivid and colorful images, that brings fresh feeling for this template. The banner sequence is with bright and nice images and its effects are all highlighted. 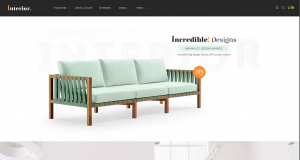 ROSSI is a Best PrestaShop Template which is Simple and modern. Rossi Sports Prestashop Theme is a special offer for your online sports shop. Rossi has 3 templates for you choose. It is specially designed to be a simply amazing layout which visitors know that they should be prepared for an incredibly awesome adventure. Rossi theme comes with many Prestashop extensions like Pos Slideshow with nice images and smooth transition effect, Vertical Mega Menu with many columns and static blocks with nice images, Mega Menu Customer with links to new products page, best selling products page, discount products pages. 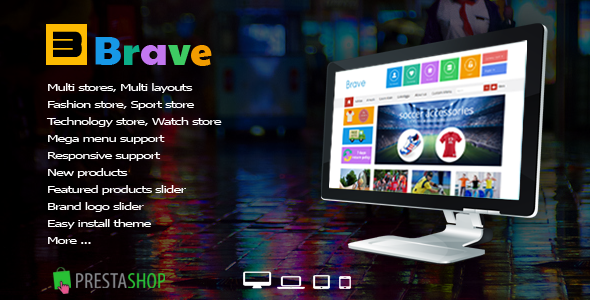 Brave is a Best Prestashop Theme with a clear design, color impressed. This theme is designed for selling watches, technology equipment, fashion, high fashion, sportswear, accessories and so on. 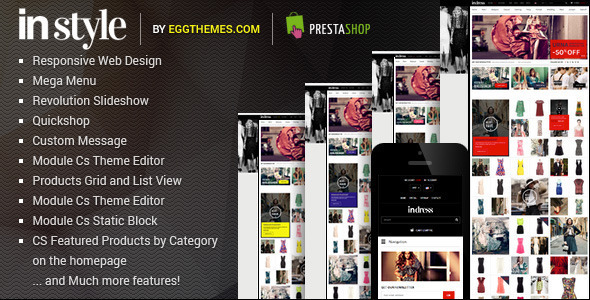 This PrestaShop theme has 4 templates : fashion, sport, watch, technology. You can choose one of these templates to become your store. 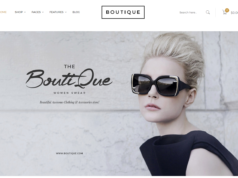 This theme is a fully responsive layout that looks great on mobile and all tablet devices. If the product image is large, this layout will automatically adjust thumbnail size to fit all screens. Newest and hottest items can be showcased in a very nice way, which can help customers find products they need at the quickest and best convenient. 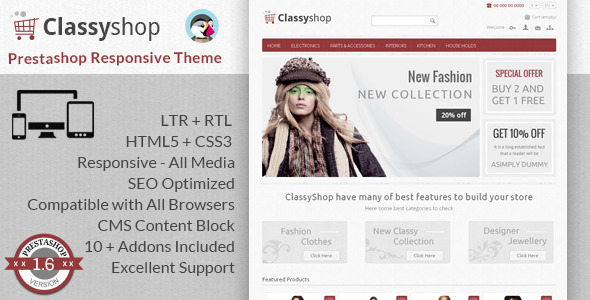 ClassyShop Prestashop Template is dedicated for apparel and clothes stores. 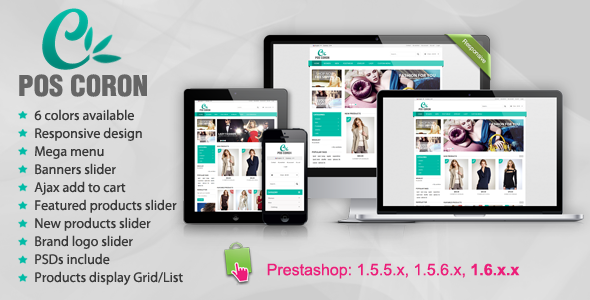 With some free extensions and customization, ClassyShop Prestashop Template is dedicated for all apparel and clothes stores. Coron is a Best PrestaShop theme with stylish high fashion template. This template is mainly intended for e-shops dealing with clothing trade or fashion in general. No matter what type of site you are building, Coron theme has just what you need. This theme has 6 colors : red, blue, teal, green, brown, orange. You have the choice to use the color with the amazing animation effects to make your template functional. New products slider and featured products slider extensions , which are brilliant ways for you to show beautiful products. In addition, the home page has a fresh-looking section of highlighted categories. 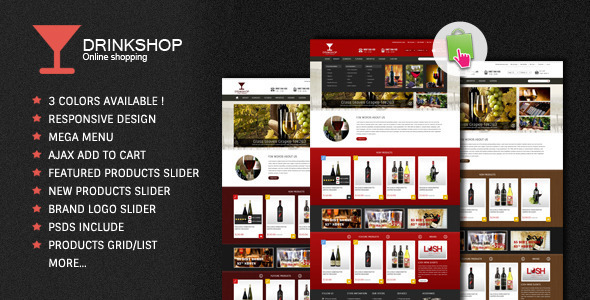 Drinkshop is a Responsive Prestashop Theme with a clear design, color impressed. Many new features such as slideshow powerful admin module: Slideshow with big images and effects is a highlight, Megamenu Customer with many columns and nice images support big data information for customers to go shopping and choose, Featured products with slider extension shows featured products in slider ,New products with slider extension shows new products in slider, Products category with slider extension shows products in the same category, back to top button, Pos Logo with brand logos you want to advertise, Viewed products with slider extension shows viewed products in slider. Besides, many static blocks with beautiful images and information interspersed among extensions make this website more beautifully and smoother. Orion is a Best PrestaShop Template for your eCommerce store comes from Posthemes. It’s a great choice to sell all goods such as fashion, clothes, electronics, books, sports equipment, sportswear, watches, medical equipments, gifts. Not only outstanding in design, Orion also impresses users by its features and functions. 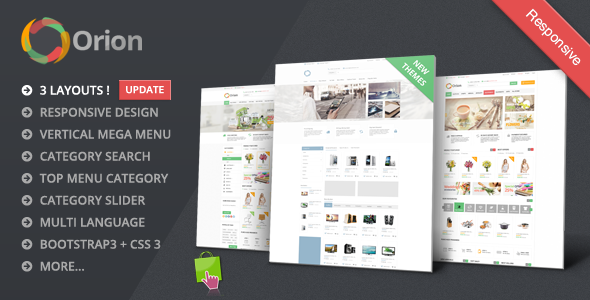 With layout 2 columns left in homepage, this template bring fresh feeling for users. Banner Sequence extension shows slideshow with nice images and css3 effects bring high effect for advertise website. Besides this, Orion theme uses many extensions and modules of prestashop to make customers visit and purchase products most conveniently.